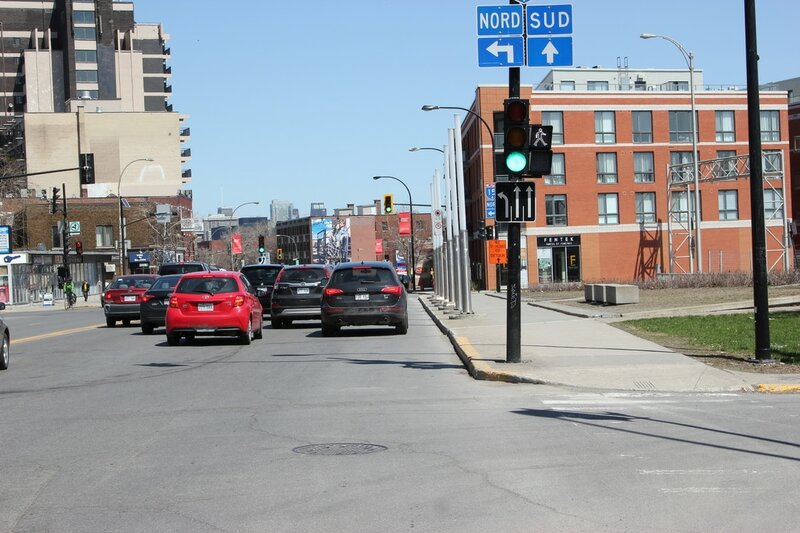 Si vous souhaitez contribuer à la réalisation d’une piste cyclable sur la rue Sherbrooke, veuillez laisser votre nom et votre courriel afin que nous puissions vous contacter. 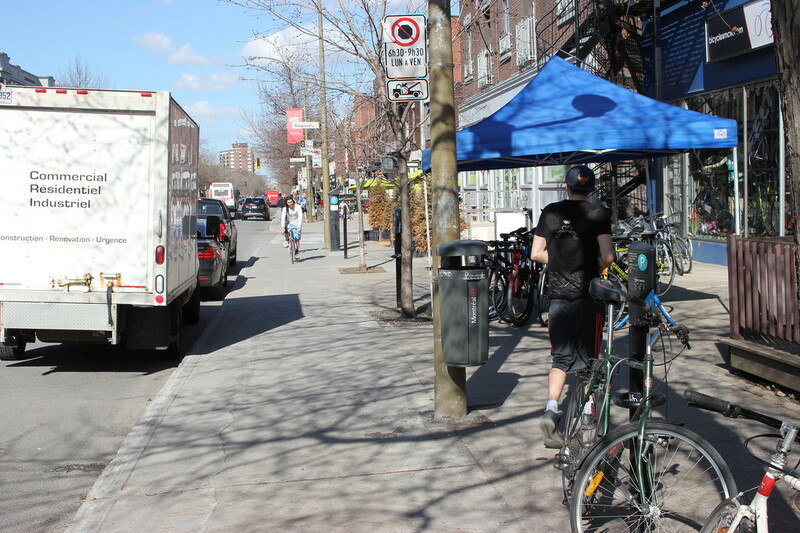 If you would like to help make a bicycle path on Sherbrooke street a reality please leave your name and email so that we can contact you. 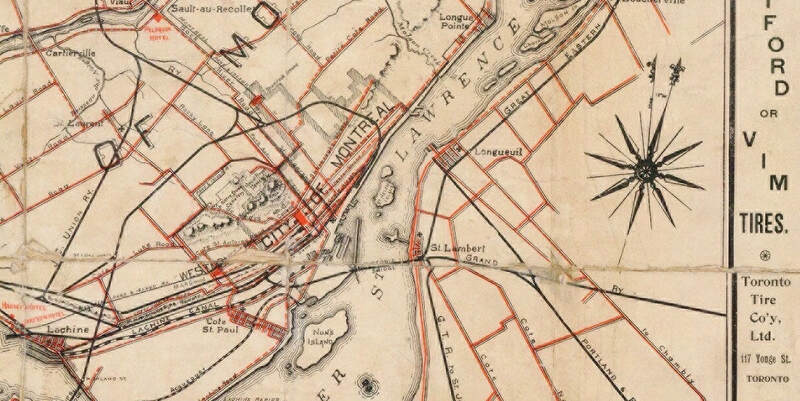 In the early years of cycling in Montreal the route westward out of the city began on Sherbrooke street and then continued on Cote St Antoine (described in the CWA Guide book 1887 page 92 "Montreal to Coteau") Since those early years Sherbrooke street has been transformed by the automobile such that it is too difficult for any but the most experienced riders. 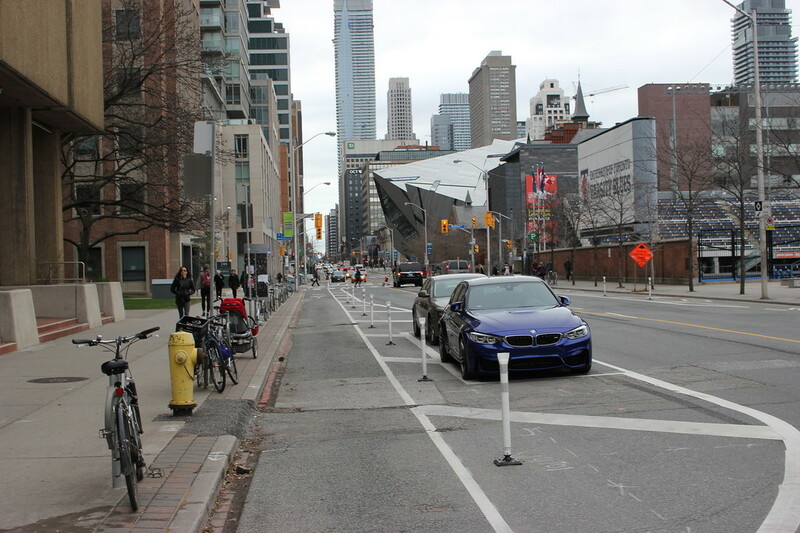 This need not be the case. 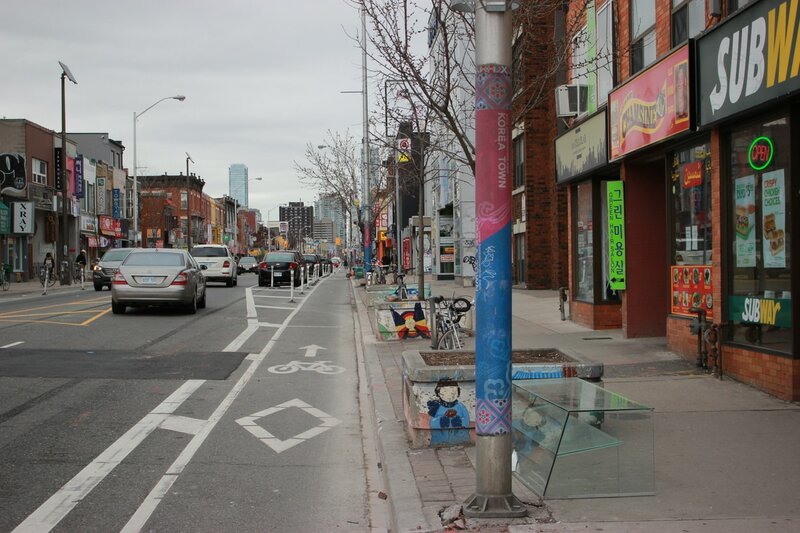 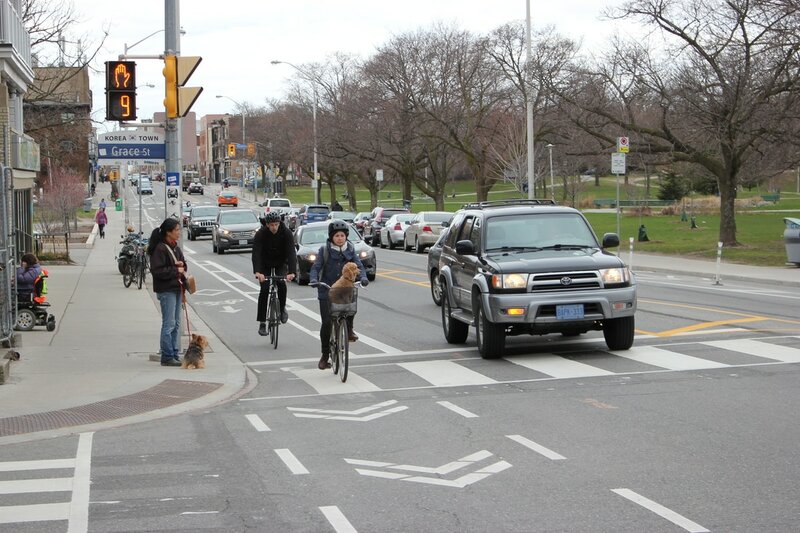 In the fall of 2016 Toronto built modern unidirectional bicycle paths on a very similar major east-west urban street. 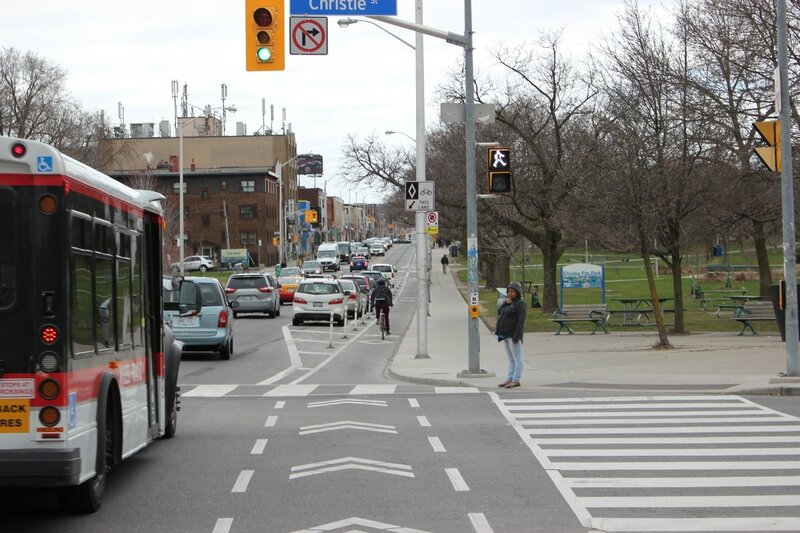 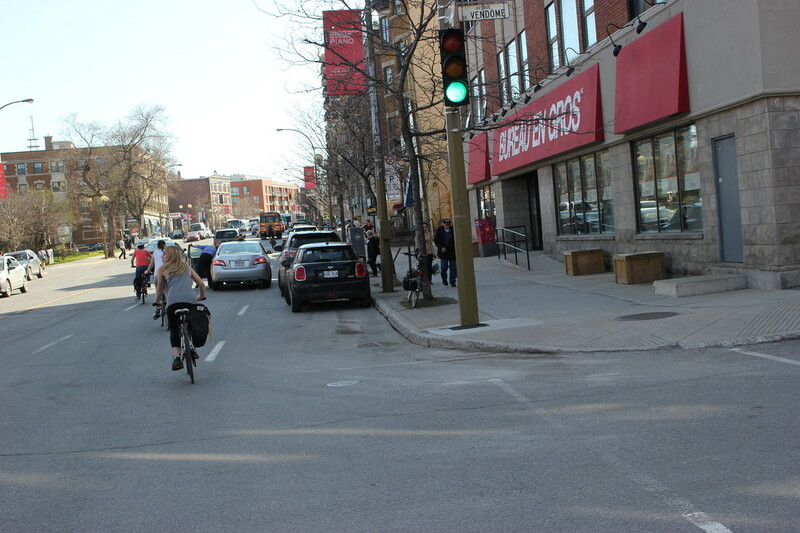 Bloor street gives an example of what a bicycle path on Sherbrooke could look like. 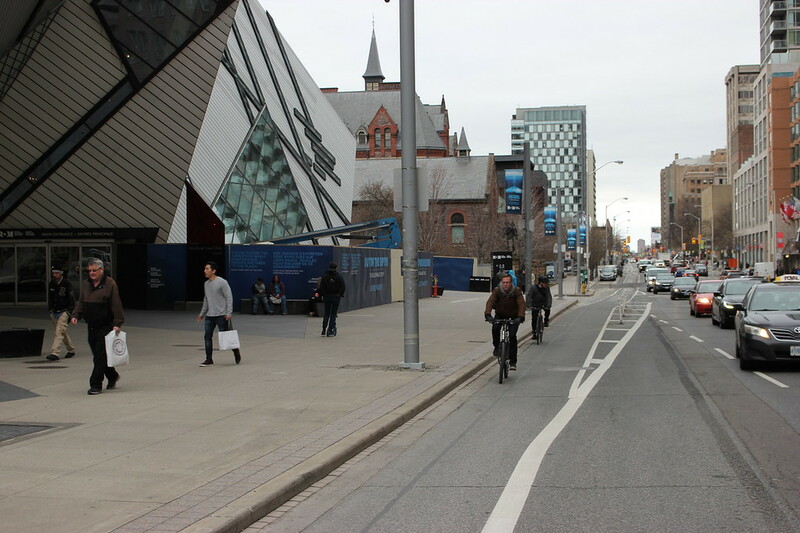 The following photographs compare cycling on Sherbrooke street in Montreal and Bloor street in Toronto. 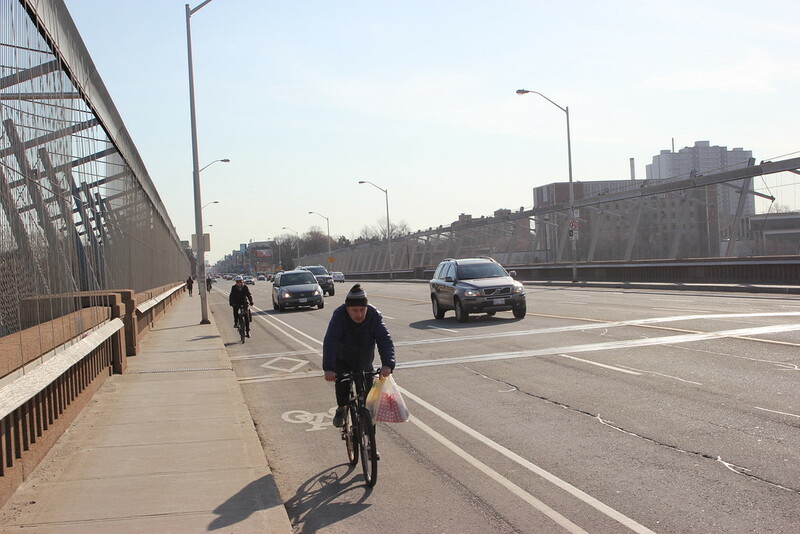 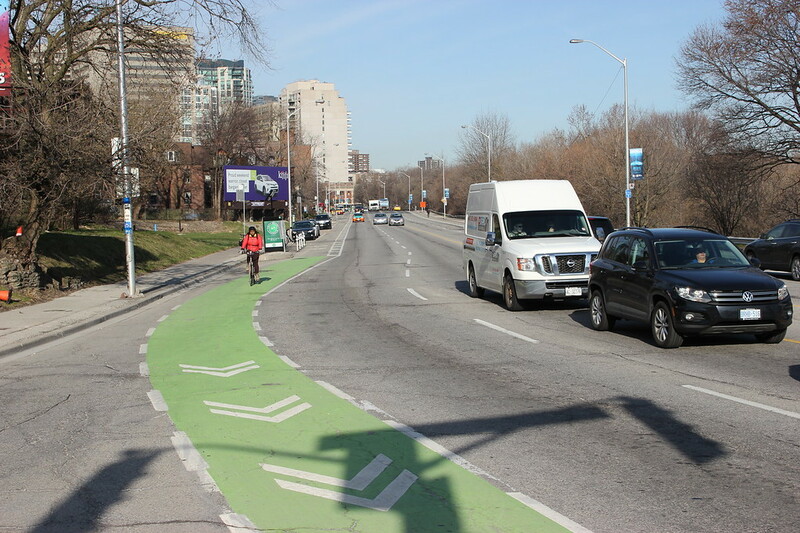 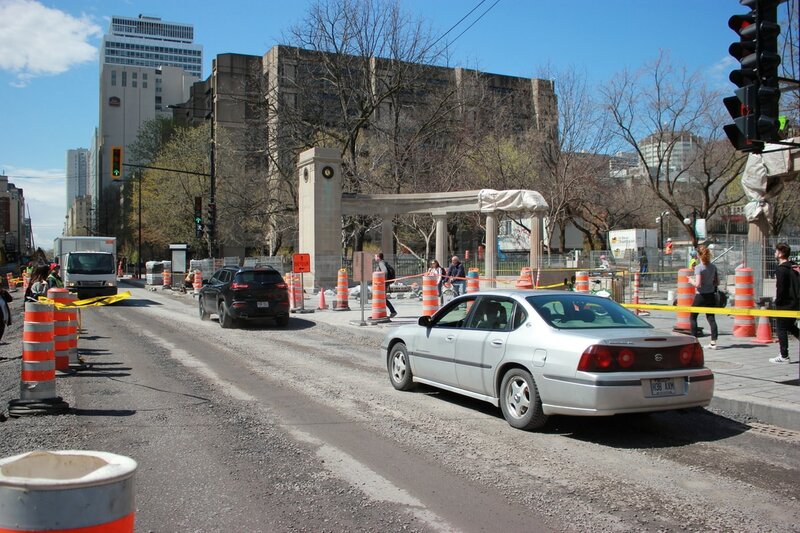 There is now a website dedicated to the promotion of a bike path on Sherbrooke Street. Come taker a look. 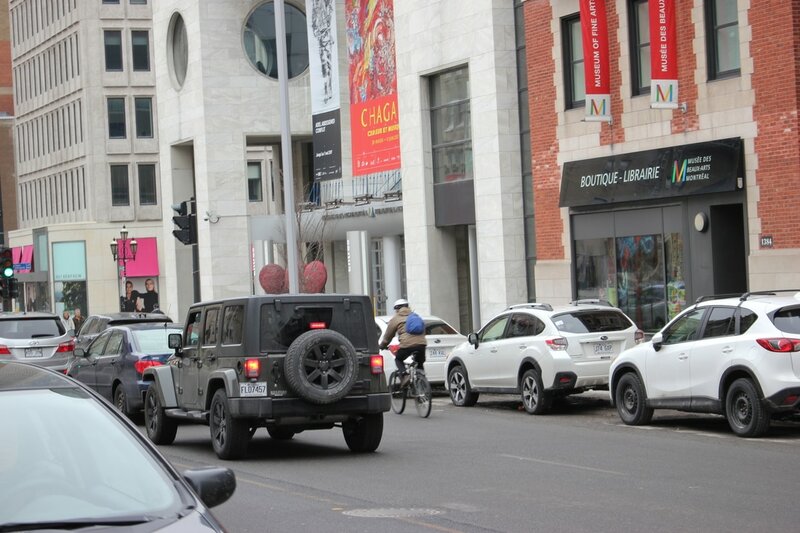 September 21, 2018 a Penny Farthing Display was made as part of Westmount's Park(ing) Day to promote a bicycle path on Sherbrooke Street. 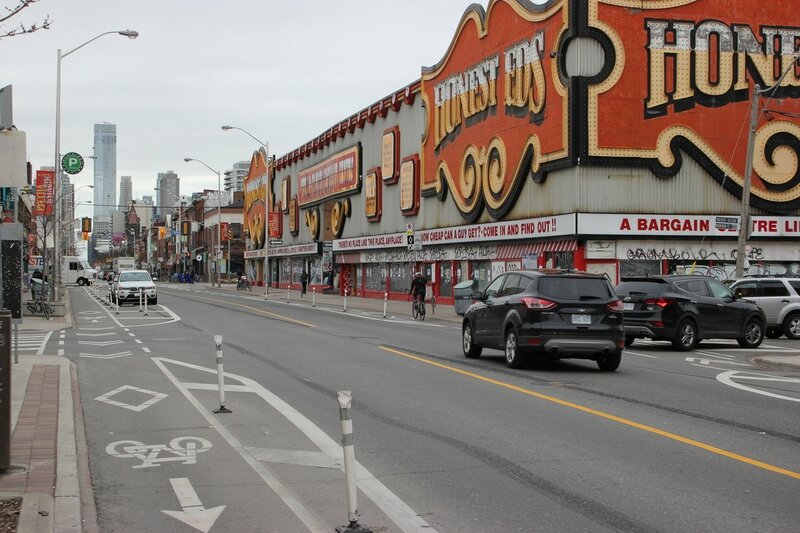 November 5, 2018, twin brothers Dinez & Umet Umruk requested the City of Westmount to build a bicycle path on Sherbrooke street during a town council meeting. 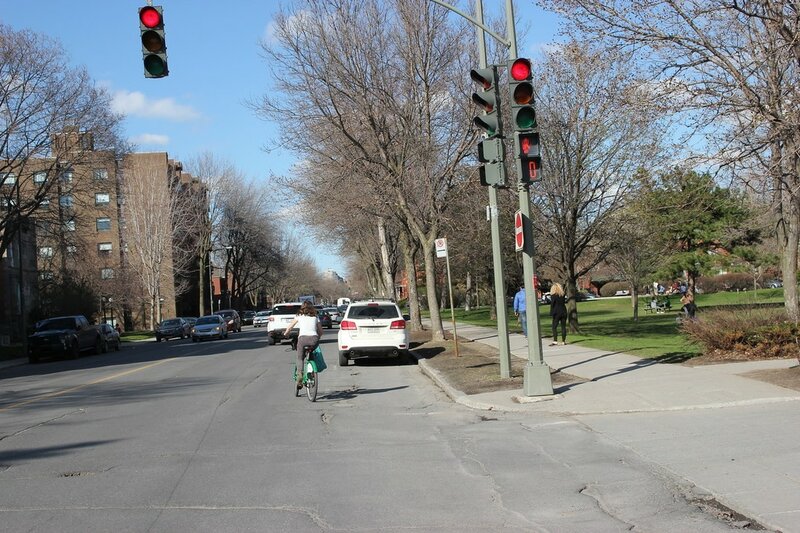 November 20, 2018 an article in the Gazette was published regarding a bicycle path on Sherbrooke Street.